She is perhaps best known for her Teddy Bear Studies a subject she excels in, many of which have been published by Solomon & Whitehead. A former member of the Society of Floral Painters , Christine has a large collection of delightful floral studies which were inspired by her own cottage garden, many of her paintings are now in private collections together with her original Teddy Bears. 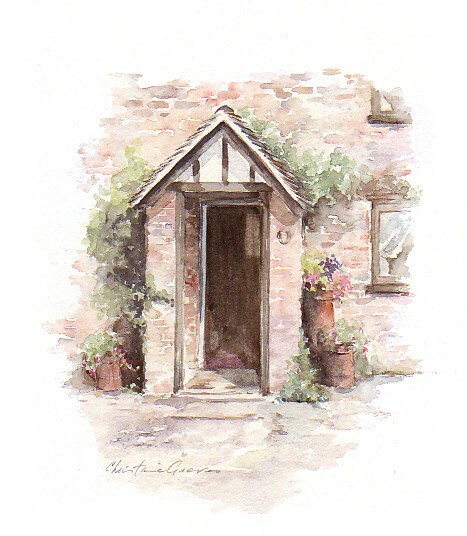 This website shows a wide range of Christine's work and most of it is available for sale, either as prints or originals. This site is designed to operate as an on-line gallery for her work. Items can be purchased on-line and payments can be made by Paypal or cheque in £GB.